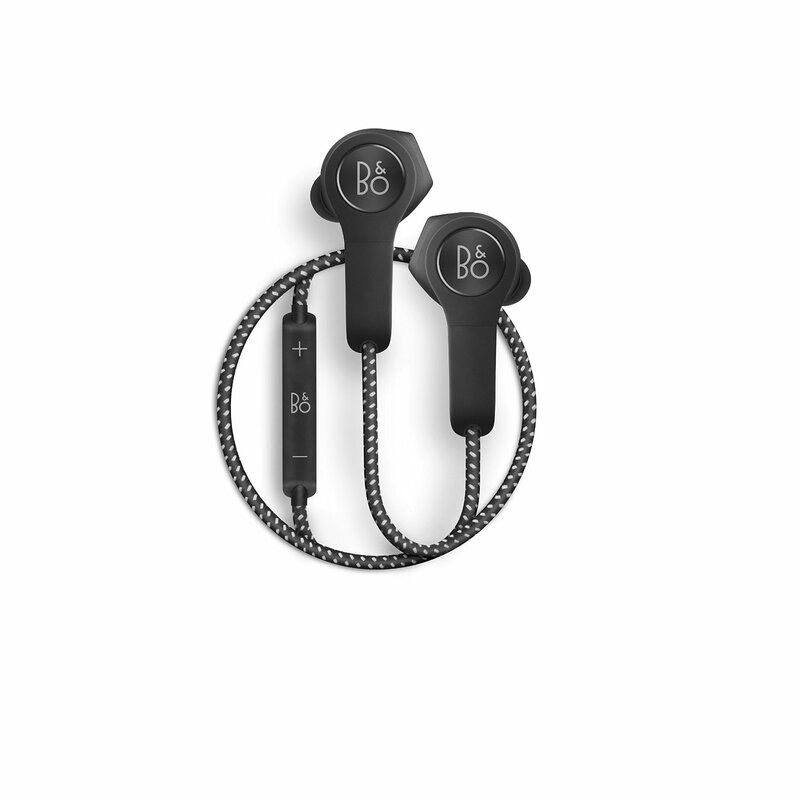 Bang & Olufsen's H5 Bluetooth, water resistant, in-ear buds are pretty damn great. For $220 they had better be. As if I don't look silly enough, for the last week or so I've been walking around with a set of B&O H5 earbuds jutting from my skull like I'm Uhuru in Star Trek, or clipped around my neck like some necklace from Tron. I wanted to spend a good amount of time with a set of headphones this expensive, before offering a review. 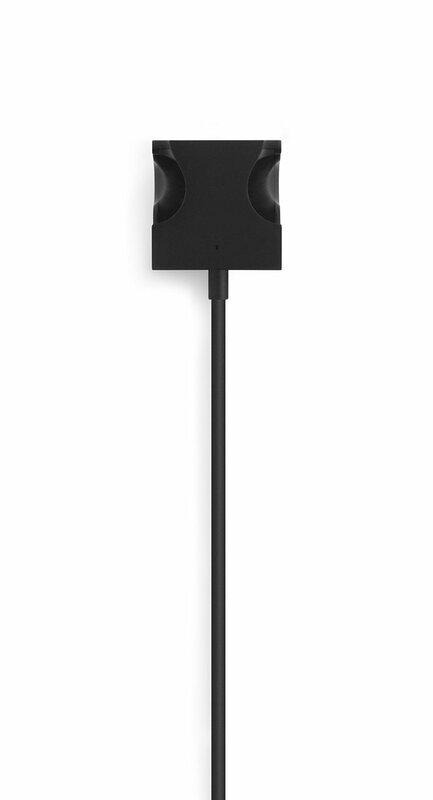 The H5 are big buds, with a braided cable between them. There are 7 different sets of tips included, and I highly recommend experimenting to find a good fit. Comfort and sound will demand it. I used the included foam tips. Once I'd figured out how to route the cable in such a way it was not snagging on sweaters and tugging on the buds, I paired it with my iPhone. Bluetooth pairing is about the easiest I've ever seen. Right out of the box, the buds were crisp and well defined, but a little too bright. I used the free Beoplay app from B&O and was instantly able to push them towards warm and more bassy. The app is super simple and very nice to have. Lets you fine tune the buds to exactly what you want. I was impressed with how dramatic the change was from extreme to extreme. In the environments these are for, outside the home and traveling, I found they sounded great with the usual blend of funk, rap, rock and roll, jazz and classical that my iPhone puts out. Exterior noise doesn't make it past them very well and I found myself having to remove one to talk to flight attendants, or others folks as I was moving about the world, even if I paused the music. Wonderful on the airplane, even next to the wing. Battery life seems to make it through a medium day of travel and putzing around town. Charging is cute, but the odd size and shape of the charger loses its charm quick. It does what you need. The H5 are super easy to turn off, they magnetically clip together to form a necklace and power down. Turning them on requires pressing one of the 3 hidden buttons in the in-cable mic/controller. The buttons aren't the most intuitive but after a few uses you figure it out. They are big and heavy, after a few hours of use in a single day I notice one of my ears starts to regret the pressure of the bud against it. Probably serves as a good reminder to take them out, but they are big and heavy. Have to be to get that much bass out of an ear bud. I did not try sweating all over them to see how the water-resistance holds up. B&O advertised these as for exercise. I don't think the cable or size of the buds would let that work for me, but then I really wanted them for walking and riding in planes, trains and buses. I'm not training for the Olympics right now. I haven't tried any other high end Bluetooth sets to compare with the B&O H5, but I'm very impressed with the sound quality. Bluetooth has come a long way.